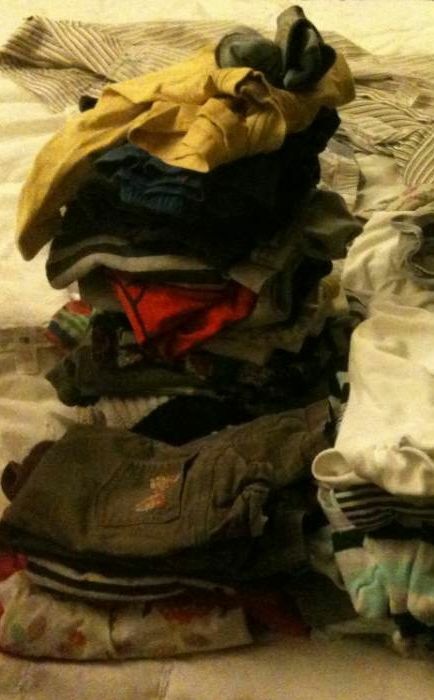 Comparing washing piles – Ezra wins. Guess who’s a 2-yr-old boy? It strikes me that nowhere is this more prevalent than in the world of parenting. Even before your baby is born, you start to compare yourself/the baby/the pregnancy with others. Some of this is just to check that everything’s normal – but not all of it. And of course, I also live near many parents who feed their children crisps and sweets for breakfast, and fried chicken and chip-shop chips for tea most nights. They too are malnourished, but in a different way. Let’s see – are there any other examples? What about how much TV my children watch, how often I read the Bible to them, how many extra-curricular activities I pay for them to do, how I dress my children, whether I breast or bottle feed, whether we eat meals together, whether they watch Disney, how much time I spend reading to my children, what kind of school I send them to, whether I make them wear a helmet or not, etc. etc. etc. Of course, many of these things do matter a great deal. But instead of comparing myself and looking down on others, why don’t I stop looking around me for a minute and look at where God has actually set the bar? So what standard does this glorious God set? Jesus says, ‘Be perfect, therefore, as your heavenly Father is perfect.’ Hmmm. When I think about that, I don’t feel so proud of myself. How does God feel about my sin? Look at the cross – he poured out his wrath on his Son because of it. Can you imagine Ezekiel strolling up to the image of God’s glory and saying ‘OK, but do you know I fed my children cereal for breakfast every day! And no sugary drinks!’ Ridiculous I know, but in my heart I whisper that to God when I’m feeling proud. The right response to God’s glory is to bow down and worship him, and to cry out for mercy – which he freely gives. That should be our response, no matter who we are or what we’ve done. I need to keep reminding myself of this, especially when I’m comparing myself to parents who in my sinful opinion are not as competent as I am. (Gosh, don’t I sound like a delight?) God’s not judging me by comparison. He is holy. As a church community, I think we can help each other out with this a lot too. We’re always having examples of ‘bad’ parenting thrust in our faces – in the press, at the school gate, or maybe just people we know. So when a wonderful parent in our church says things like, ‘Oh I really lost my patience today with my kids,’ or ‘I just wish I could be more joyful about motherhood,’ we think, ‘But you’re fantastic! You’re the best mother I know!’ And often we console them by saying things like, ‘Oh that’s understandable/everyone feels like that sometimes/you’re much more patient than I am’ etc. Now I’m not saying we should be judging each other at all – and we definitely should encourage the good we see God doing in people. But if someone is feeling convicted of sin, they need to hear the gospel. And by ‘gospel’, I don’t mean ‘Oh don’t worry, there are loads of people who are much worse than you!’ That’s not good news at all! I’d much rather be reminded that I am purified from all unrighteousness than be cheered up by the knowledge that someone else is worse than I am! Not only is it more wonderful, but it’s also the truth that I need to hear.